Cheryl Lynn Taylor-Rodriguez 59, passed away Monday, December 25, 2017 at her home. Cherylsuffered from Diabetes and was undergoing Dialysis treatments 2-3 times weekly.Cheryl Lynn Taylor-Rodriguez 59, passed away Monday, December 25, 2017 at her home. Cherylsuffered from Diabetes and was undergoing Dialysis treatments 2-3 times weekly. Cheryl Lynn Taylor-Rodriguez 59, passed away Monday, December 25, 2017 at her home. Cheryl suffered from Diabetes and was undergoing Dialysis treatments 2-3 times weekly. Cheryl was born June 21, 1958 in Chicago, Illinois to Donald Sr. and Barbara Rodriguez. She is survived by two sons; James (Julie) Lewis, Joseph (Cyndi) Lewis; grandchildren; Andrew, Ashlee, Jordan, Kascee, Mason and Kayden; siblings, Kim White, April (Mike) Muir, Gabrielle (Jim) Riesterer, Vincenzo D’Azzo and many nieces, nephews and extended family. Cheryl enjoyed spending time with friends, family and especially her grandchildren. Cheryl received her dialysis treatment from DaVita and spoke very highly of all the staff whom she got to know. Cheryl never knew a stranger, because she became friends with everyone who came across her path. Cheryl’s favorite colors were Red and Purple as she would wear those colors often. She enjoyed reading and writing in her journal. She became the family historian, often reciting birthdates, wedding, anniversary and special event dates; as she loved numbers and could remember those details. 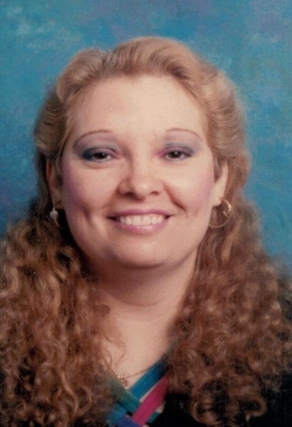 Cheryl had several close people that she enjoyed spending time with including; Tim Quinn, Kathy Pote and many friends at the Kingdom Hall of Jehovah’s Witnesses. Cheryl will be deeply missed by all of her family, friends and acquaintances. Memorial contribution account has been set up at Wells Fargo Bank: Acct #5322102574 for Cheryl L. Taylor-Rodriguez in her honor.